Heads up: This is an affiliate page, meaning that if you use the links (or buttons) to buy a book, I’ll get a small commission at no extra cost to you. I created this to help sustain this site, so if you want to buy one of these books + support me, use the links here. Thanks for your support! 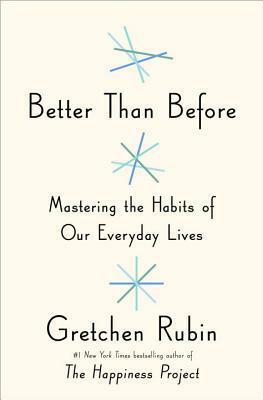 If you're interested in successfully developing habits, Gretchen Rubin offers some practical tips in Better Than Before. Favorite Takeaway: There is no one-size-fits-all solution for habit formation -- we're all distinct -- and different strategies work better than others, depending on your distinctions. Fun Fact: I read the entire ebook and loved it so much that I also got a hard cover copy. 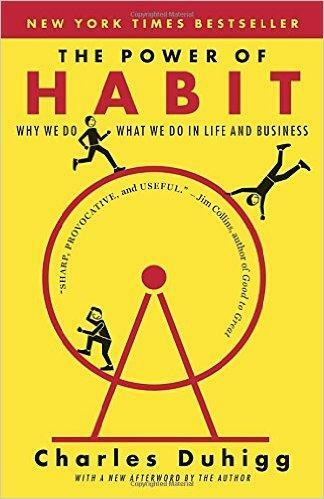 If you're feeling stuck because of some not-so-helpful habits that have become rooted in your life, The Power of Habit contains research-based advice on why we do what we do, and how we can use that information to master our habits. Favorite Takeaway: For habits to permanently change, people must believe that change is possible. This book has completely changed how I respond to different scenarios. 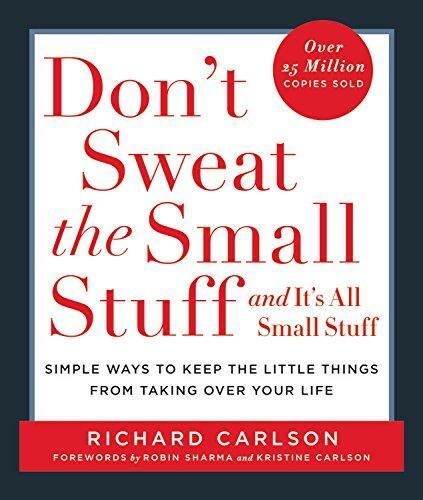 Don't Sweat the Small Stuff has helped me become more self-aware -- I'm more calm, less stressed, and much happier! Favorite Takeaway: The mental dynamic between the way we think and the way we feel. In order to experience a feeling, you must first have a thought that produces that feeling. Unhappiness doesn't and can't exist on its own. It is the feeling that accompanies negative thinking about your life. Without thinking, unhappiness, stress, or jealousy, can't exist. The next time you're upset, notice your thinking and remind yourself that it's your thinking that's negative, not your life. "Achievers operate differently. They have an eye for the essential. They pause just long enough to decide what matters and then allow what matters to drive their day." 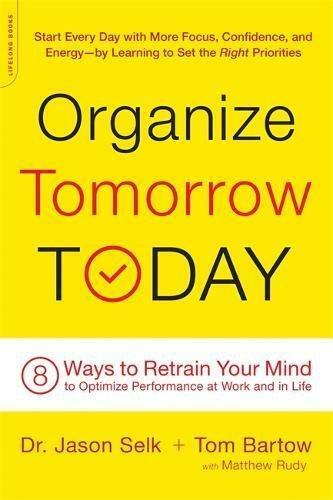 "Left in its raw state, as a simple inventory, a to-do list can easily lead you astray. A to-do list is simply the things you think you need to do; the first thing on your list is just the first thing you though of. To-do lists inherently lack the intent of success. In fact, most to-do lists are actually just survival lists — getting you through your day and your life, but not making each day a stepping-stone for the next so that you sequentially build a successful life." 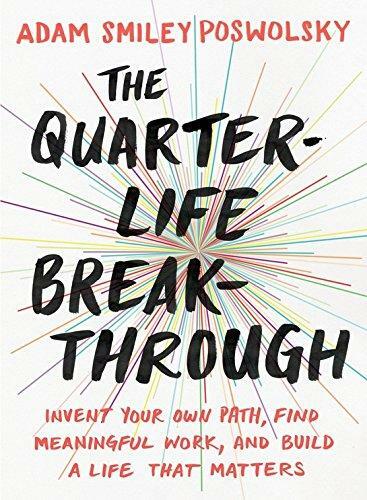 I really enjoyed reading this book because it's packed with research-based findings on the many aspects of life — happiness, motivation, persuasion, among other things — and small changes you can do to improve it. Favorite Takeaway: The concept of "Zeigarnik Effect" – starting any activity causes your mind to experience a kind of psychic anxiety. So, if you feel tempted to procrastinate, persuade yourself to work on the task for "just a few minutes" and you'll often feel an urge to see it through to completion. "Just a few minutes" is a highly effective way of beating procrastination and can help you finish the most arduous of tasks. Favorite Takeaway: The concept of trimming the fat or reducing the amount of time you spend on things that you need to do. Spending more time on critical activities shouldn't be the main objective. 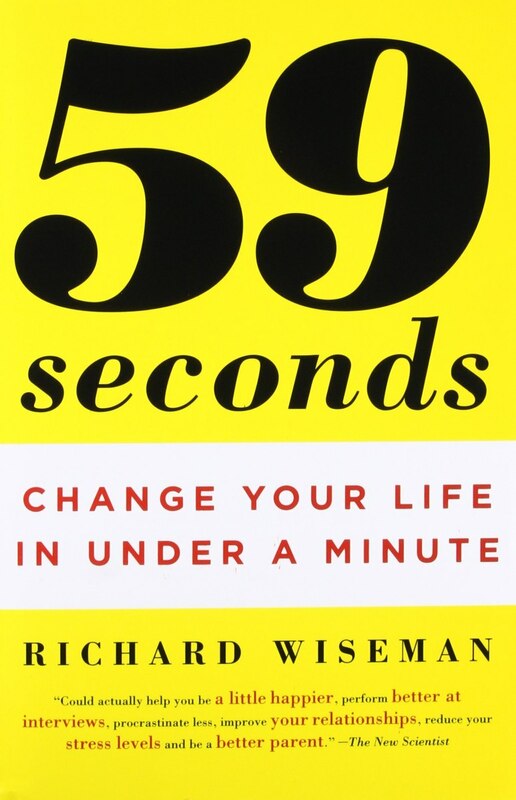 High achievers know how to get more done in less time. Figure out how to do what you're doing every day more efficiently and how to make the time you spend on them more in tune with the overall priorities you've been setting. "When you have a bias to action, you are committed to building your way forward. There is no sitting on the bench just thinking about what you are going to do. There is only getting in the game. Designers try things. They test things out. They create prototype after prototype, failing often, until they find what works and what solves the problem [...] Designers embrace change. They are not attached to a particular outcome, because they are always focused on what will happen next — not what the final result will be." "...for most people, passion comes after they try something, discover they like it, and develop mastery — not before." "You don't need to know your passion in order to design a life you love. Once you know how to prototype your way forward, you are on the path to discovering the things you truly love, passion or not." "Fear is a powerful force that can derail a breakthrough. Common fears include fear of the unknown, fear of what others will think, and fear of too many options. Fear is universal, and trying to avoid it is futile. To get where you need to go, embrace fear to guide your journey instead of fighting it. Use fear as an indicator that you're on the right path." 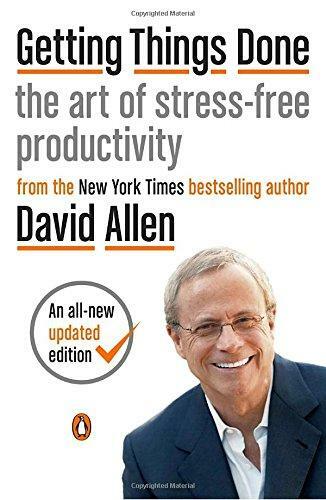 Favorite Takeaway: "Deeply care about your productivity goals, about why you want to become more productive. Investing countless hours becoming more productive, or taking on new habits or routines, is a waste if you don't actually care about the changes you're trying to make. And you won't have the motivation to sustain these changes in the long term." 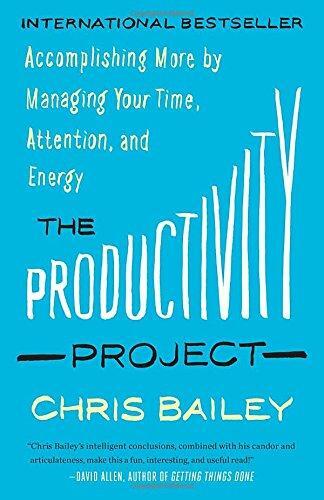 The more of these attributes a task has, and the more intense these attributes are, the less attractive a task will be to you, and the more likely you'll procrastinate on it." Favorite Takeaway: Using a someday or maybe list. Put anything that catches your interests in a list, so you can get back to them later. It's important that we keep this list separate from our next actions list, as they are not as important or as urgent. I keep a list of books I want to read, songs I want to listen to or download, and movies I want to watch. 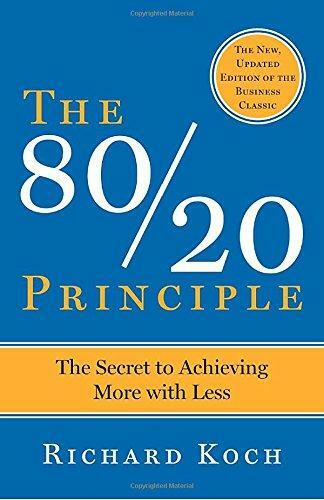 Favorite Takeaway: The 80/20 Principle itself is the main takeaway — that a minority of causes, inputs, or effort usually lead to a majority of the results, outputs, or rewards." Things aren't equal in the world of success. A small amount of causes creates most of the results. Just the right input creates most of the output. Selected effort creates almost all of the rewards. A to-do list becomes a success list when you apply Pareto's Principle to it. 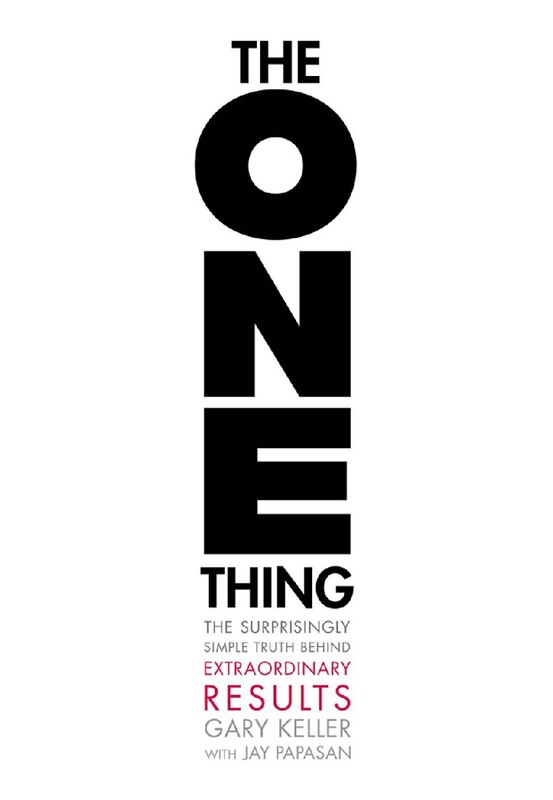 This book will show you the six principles of winning ideas! 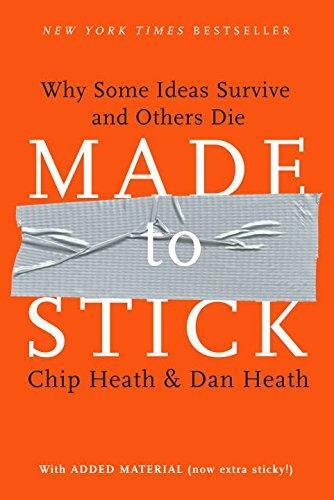 Chip and Dan Heath do an amazing job at deconstructing ideas that stick and the often in a really entertaining way! Psst! The six principles are simplicity, unexpectedness, concreteness, credibility, emotions, and stories (SUCCESs). "Once we know something, we find it hard to imagine what it was like not to know it [...] And it becomes difficult for us to share our knowledge with others, because we can't readily re-create our listeners' state of mind." For people to take action, they have to care. However, it's not about pushing people's emotional buttons, but rather making messages emotional to make people care. Feelings inspire people to act. Why do some things catch on? The things others tell us have a significant impact on what we think, read, buy, and do. Interestingly, word of mouth is more effective than traditional marketing because it is more persuasive and more targeted. 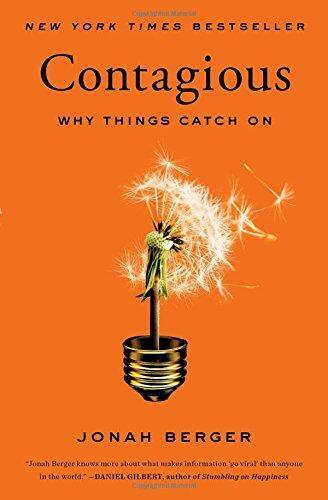 If you're interested in viral marketing, Contagious is your go-to book. Study it with Made to Stick and you're golden. Fun Fact: The Heath Brothers and Jonah Berger referenced The Tipping Point by Malcolm Gladwell in their books. Favorite Takeaway: People don't primarily use social 'networking' sites because they crave community (that's reason number two). The main reason people use social networking sites is to showcase their own identity. What do customers see as their brand? What is the messaging of your audience? How do your customers see themselves? Favorite Takeaway: "What we think we are saying to our customers and what our customers actually hear are two different things. 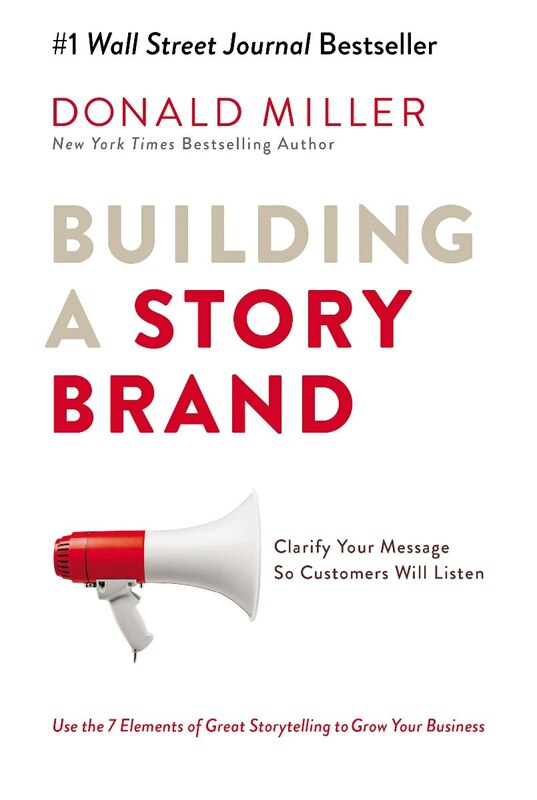 And customers make buying decisions not based on what we say but based on what they hear." On Why Story is Important: "...story formulas put everything in order so the brain doesn't have to work to understand what's going on." If you cause your customers to burn too many calories in an effort to understand your offer, they're going to tune out. The key is clarity. Clarify your message so customers will listen. Favorite Quote: "If you confuse, you lose." 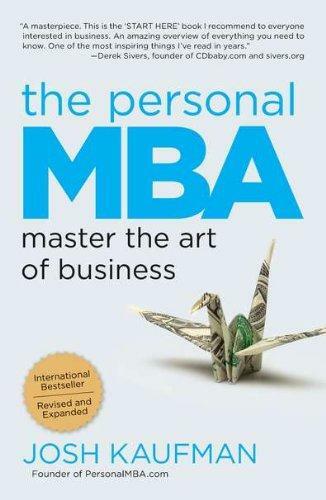 The Personal MBA is so comprehensive I can't make up my mind on my favorite takeaway or idea! You can learn so much from this book, not only about business, but also about concepts you may not expect to be business-related like the human mind — a whole chapter of it, in fact. 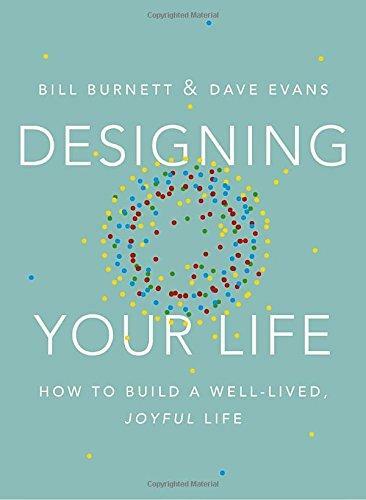 You'll also be delightfully surprised by dedicated chapters on working with yourself and working with others — the concepts, although can feel quite simplistic, are eye-opening! Also, it's really easy to go through the book as the lessons are organized into 1-to-3-page sections. 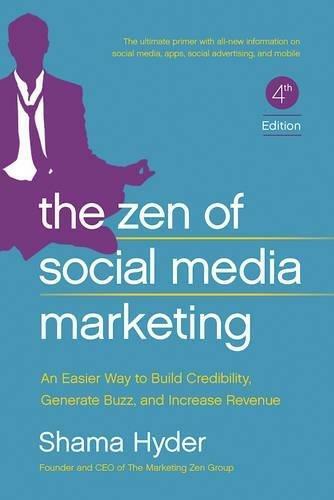 Whether you're interested in business or not, I highly recommend that you read this book! Favorite Takeaway: The Two Words that Transform Any Negotiation — "That's right." I was surprised to read about Chris Voss's encounter with the militant Islamic group Abu Sayyaf, here in the Southern Philippines. The outcome of this particular case has turned my fellow namesake into FBI's lead international kidnapping negotiator. 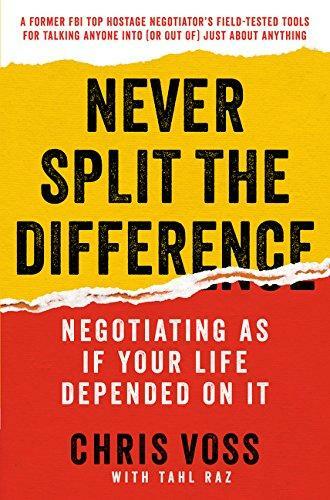 Anyway, this book is not mainly about negotiating with terrorist, but rather about what lessons we can apply from high-stake situations to our life and business. Favorite Takeaway: The Magic Ratio (when pitching to clients) — three to one. The amount of time you dedicate to listening to your clients and discussing their challenges should be three times what you spend talking about yourself. Play a match game. Identify what the new client needs most to achieve his or her goals. Then find a successful case study to show you've provided something similar. 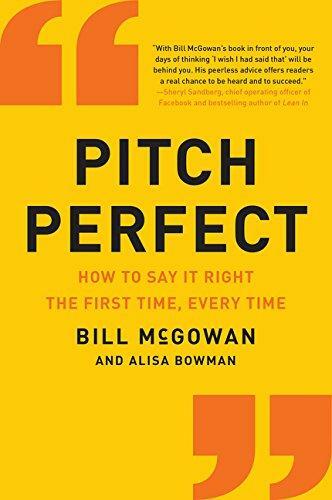 I really like reading books that highlight principles, and Pitch Perfect is just that! Bill McGowan discusses in detail how you can use the principles of persuasion. Check this book out! It's going to change how you pitch your products or services to clients. Favorite Takeaway: Leverage equals speed. It is the power to control a lot with a just a little. If you want to create wealth, you need lots of leverage. 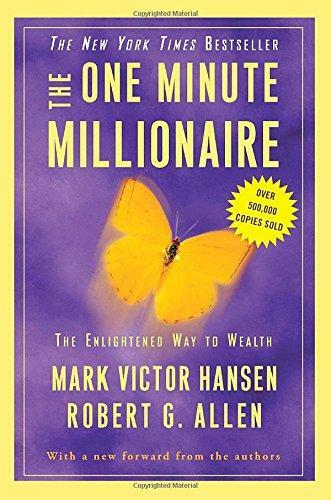 Millionaires are masters at using all five kinds of leverage. Favorite Takeaway: To achieve financial freedom, you must first have some financial intelligence. Being financially literate will help you know what to do with the money once you make it, how to keep people from taking it from you, how long you keep it, and how hard that money works for you. 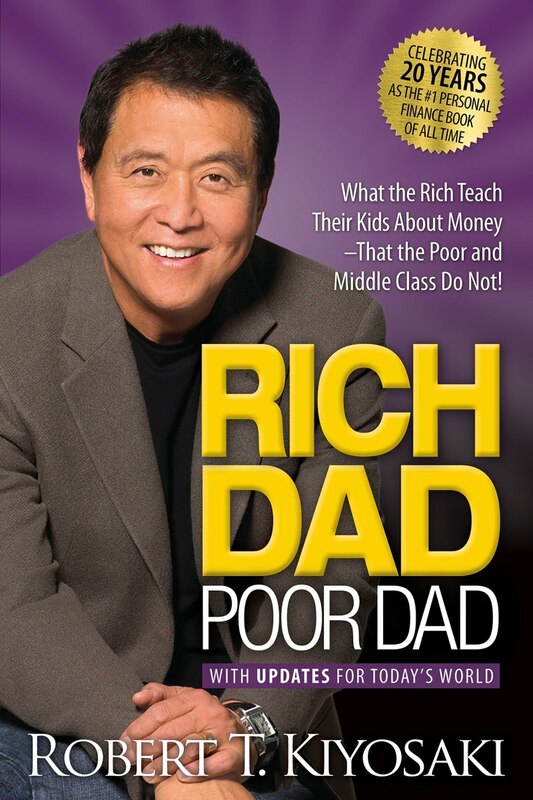 If you want a better understanding of how you can manage your finances and build wealth, I highly recommend that you read this book!